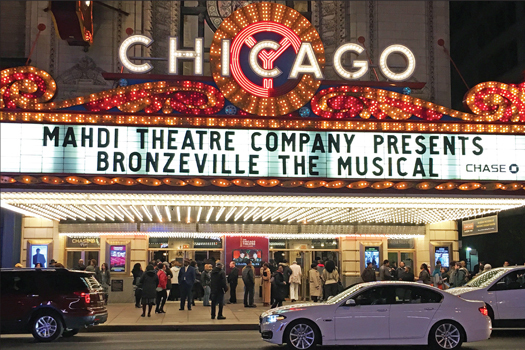 Congratulations Mahdi Theatre Company.. Bronzeville The Musical A Hit! 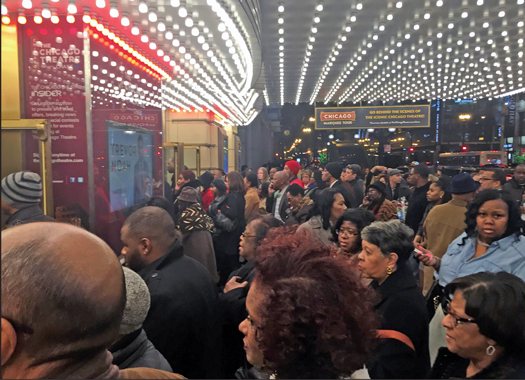 Crowd forms outside of Chicago Theater to see Bronzeville: The Musical. Margaret Mahdi of Mahdi Theater Company signs historic wall at Chicago Theater. 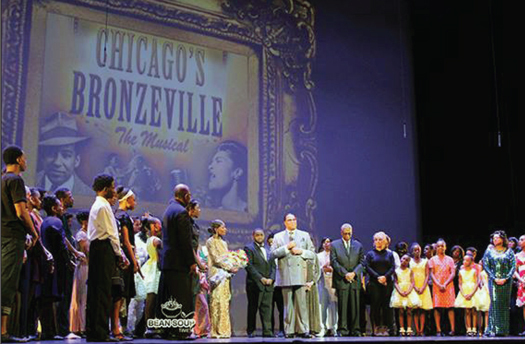 The Honorable Minister Louis Farrakhan and cast of Bronzeville: The Musical. 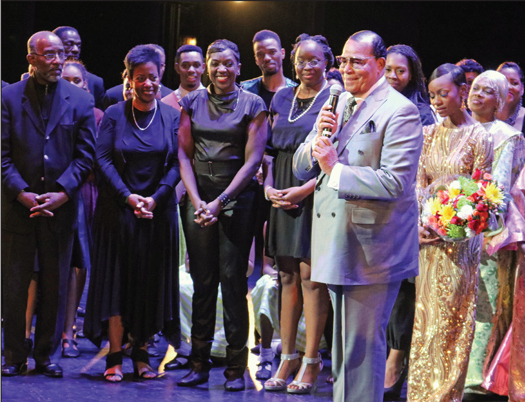 Minister Farrakhan congratulates Margaret Mahdi, her family and the cast for a fine production at the Chicago Theater. Margaret Mahdi at close of performance. Chicago theater company owner Margaret Mahdi, who has stressed the importance of Black directors, stage actors, and writers, scored a hit with her incredible production “Bronzeville: The Musical,” featuring Grammy award-winning gospel singer Karen Clark-Sheard Feb. 26 at the Chicago Theater. The journey through Black history and music drew a full house to the downtown entertainment palace for an evening of enlightening entertainment. The powerful, amazing performance was capped off with a special message from the Honorable Minister Louis Farrakhan, who attended the play. The Mahdi family are strong supporters of the Minister and the Nation of Islam and the brilliant theater impresario attended Muhammad University of Islam and has performed shows on stage at the independent school. Full coverage of the play will be featured next week in The Final Call newspaper.